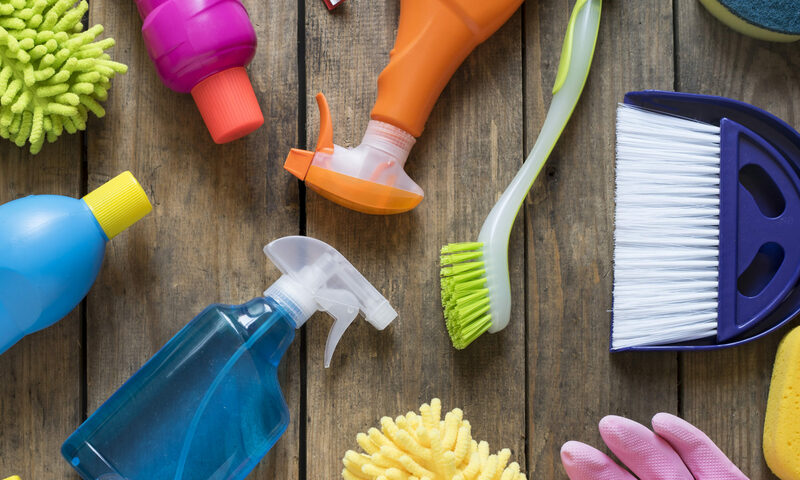 There are three ways on how to clean a yoga mat: by lightly hand washing, submerging it in a tub and hand washing, or washing it in the washing machine. If your mat is only slightly soiled, spray it with a solution of water and a very small bit of mild dish soap. Use a clean, damp sponge or clean terry cloth rag. Wash the entire mat. Use a clean cloth, only dampened with clean water, to wipe the mat. Dry with a towel, then let air dry. If you haven’t washed your mat in a long time or it is particularly soiled, you may want to do a more heavy duty cleaning of your yoga mat. Fill your bathtub with warm water and a bit of mild detergent. Submerge the yoga mat and hand wash it using a clean cloth. Rinse with clean water. Towel dry then let air dry. Put the yoga mat by itself into the washing machine and using a mild detergent for delicates, run it through the gentle or delicates cycle. Let air dry. 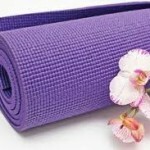 It is important to keep your yoga mat clean, but do not over wash your your yoga mat. One way to speed up the drying process is to roll up your mat with a towel and squeeze excess water out. 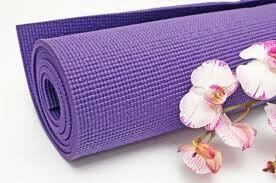 Whatever method you choose to clean a yoga mat, be sure your yoga mat is completely dry before rolling it up. In between classes, it is actually a good idea to hang your mat rather than leave it rolled up. And that is how to clean a yoga mat!